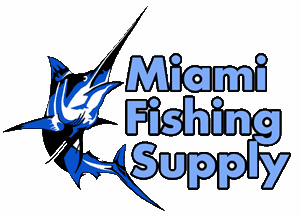 Sea Striker Rigging Springs Miami Fishing Supply, complete selection of offshore fishing tackle, marine electronics and boat supplies. The stainless steel rigging spring is the ideal item to quickly rig Ballyhoo, Cigar minnows, or other natural baitfish. Eliminates the need for wire or rubber bands. Allows you to rig a bait in seconds and keep the bait's mouth tightly closed while trolling. Complete with instructions. 10-pack.